Sarah Andrewartha is a scientist with a passion for the arts. She trained in classical ballet and contemporary dance at several dance schools in Melbourne. Sarah was a member of Young Dancers Company in Melbourne from 2007-2008 and a member of Drill in Hobart from 2015-2016. Sarah loves food, hiking and spending time in our beautiful wilderness. She hopes future generations can share what we have. 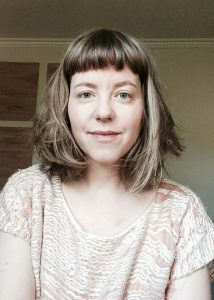 Andrea Breen is a composer and multi-media artist. She studied violin in Brisbane and Melbourne, viola at the Tasmanian Conservatorium and a Bachelor of Music Honours in performance and composition at the University of New England. She explored improvisation, relationship with land and womenʼs creativity in her PhD (University of Tasmania 2000). 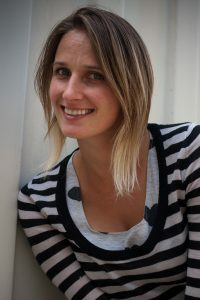 She has launched several sound installations and composed music for dance productions including for CoreDance Contemporary, New York (2014), the Adelaide Fringe (2015) and with four of Nelipot’s dancers (Hobart, 2016) in ‘Seasons and Reasons’, a multi-media production about nature, climate change and responsibility. She was a founder of the collective that has become Nelipot; she is a Tarkine-in-Motion artist and a participating artist at the Burren College of Art, Ireland. She works as an arts therapist and counsellor. Tullia Chung-Tilley is a passionate school teacher. Movement has been a large part of her existence, from cultural dance styles to commercial repertoire. She thrives on being involved in creative dance endeavours for community engagement. She began contemporary dance in year eleven and has a background in gymnastics, springboard diving and trampolining. Her choreographic work varies from classroom settings and dance studios to fitness centres and youth and community groups. 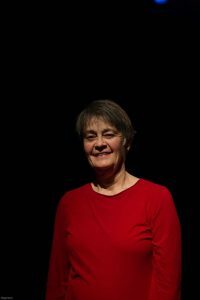 Over the past eight years Tullia has worked with schools in the Clarence Plains (Hobart) area and Kununurra (WA) as a dance teacher, facilitator and creative producer (Firelight (2016), Strings Attached (2015), Healthy World, Healthy Being & Our Family Tree (2014), Water and Peaces of My Life (2013). 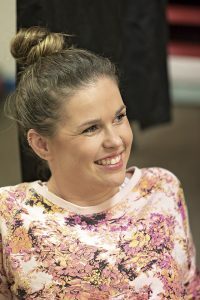 Emma Miley was born in Hobart and attended classical dance from an early age, culminating in five years of formal study in dance and movement at the Victorian College of the Arts. While continuing to maintain a strong interest in dance she has integrated her formal training in dance into her highly regarded and diverse yoga practice and teaching which takes her throughout Australia and New Zealand. Emmaʼs yoga practice embodies her passion and respect for the environment. She often conducts yoga retreats in pristine and threatened environments, such as in the Tarkine in North Western Tasmania. Arwen Dyer is a Tasmanian-based nature photographer. She has recently completed a residency in Lofoten Norway (supported by an Arts Tasmania grant) and in 2015 was an artist-in-residence in Karamea, New Zealand and, in 2014, on Flinders Island. Arwenʼs book Luminosity – Star, Sky & Sea was released in 2015. Arwenʼs exhibitions include: a retrospective at Find Your Feet Wilderness Gallery, a joint show with Wolfgang Glowacki at Jugglers Artspace (Brisbane) and at MIECAT Gallery (Melbourne), and a collaboration at the Side Space Gallery with sound artist Andrea Breen, plus various group shows including Tarkine in Motion, Island Light and Wild Island Galleryʼs Tasmanian Landscape Photography Awards. Arwen has a Masters in Creative Arts Therapy. Ivett Simon has migrated to Australia from Hungary in her early 20’s. Her creative history has seen her through photography projects in Transylvania, painting and conceptual art in Sydney, fashion design in Melbourne and she now finally lives in Hobart working on her sustainable accessories label www.ivimade.com. Her work has been exhibited at green fashion events at Lavera fashion show in Berlin, the Arts of Fashion foundation in Philadelphia, Melbourne fashion week and the Sustainable living Expo in Hobart to name a few. The common thread running through her practice is respect for the environment, a wonder for nature and positive social impact. She loves hiking, roller blading and dancing. Adie is a multi-disciplinary physical performer and has travelled the world as an aerialist and circus acrobat at various festivals, mostly with the UK’s leading large-scale contemporary circus NoFitState. Personal highlights include playing the Roundhouse in London, the Tohu in Montreal, and being described as ‘irrepressible’ by Total Theatre magazine. Other projects include a smaller scale flying trapeze show that premiered in Finland, managing a circus school in the UK, and performing in a community engagement street circus. Adie returned home to Tasmania in 2015 to start The Circus Studio, and performs sporadically around the state. Pema Choo is a yoga teacher primarily but is expanding herself within multiple disciplines of the arts including movement, sculpture and music. Her endeavours typically hold high regard for the environment and sustainability as she is passionate about creative activism through various expressions. Pema creates sculpture using predominantly natural materials and upcycled objects to portray her messages and has been a part of projects such as the Tarkine in Motion. 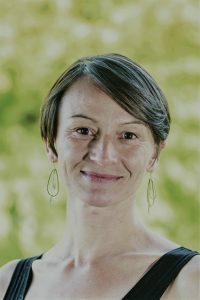 Emmanuelle has been a dedicated bodyworker for over ten years since moving from France to Tasmania. 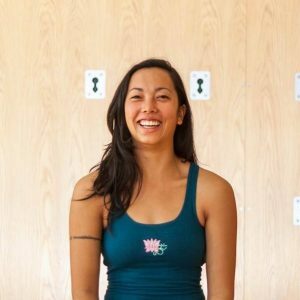 She trained in Remedial Massage, Ka Huna Bodywork, Stretch Therapy and more recently as a Hatha Yoga teacher. 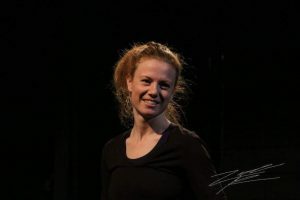 From early on, movement gave her a sense of freedom, strength, joy and creativity when she explored contemporary dance and dance theatre in her twenties, then Tai Chi, contact improvisation and tango in her thirties. Now in her forties, she is thrilled to be part of a collective with a cause and endeavours through her work, to support individual’s wellbeing in carrying on with their passion towards a more sustainable world. 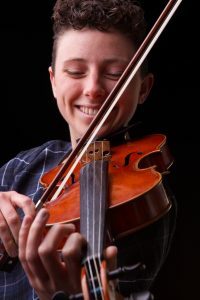 Emily Sheppard is a Tasmanian violinist/violist, improviser and composer. Trained in classical music at the Australian National Academy of Music in Melbourne (2012/13), Emily is now a casual member of the Tasmanian Symphony Orchestra. She also performs in various contemporary folk bands and improvisation ensembles. Compositionally, she draws inspiration from diverse musical fields. Her music is informed by unconventional and resonant places spaces. 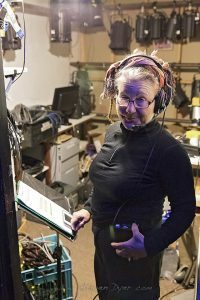 She has performed in Hastings Cave, Marakoopa Cave and Mt Wellington/kunanyi observation shelter, supported by Arts Tasmania and Hobart City Council grants. She performed at the Tunnel Number Five festival in Darwin, curated by Anne Norman, inside 75-metre long oil storage tunnels. 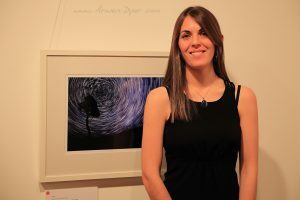 Emily is studying environmental science at the University of Tasmania, and her compositions and collaborations are increasingly inspired by her studies. She recorded an album ‘Portrait of Bob Brown’ with Michael Kieran Harvey, featuring her own composition ‘Aftermath’, which is inspired by being in the Tarkine/takayna following the 2016 bushfires. Robert Flehr studied Dance Performance at the Queensland University of Technology. Robert has been working professionally as an independent and collaborative dance artist for the last four years. He is a diverse performer with training in varied disciplines including contemporary dance, circus and samba. Since moving to Tasmania in August last year, Robert has been drawing on much of the local history and European folklore in Hobart to inspire his dance practice. Andrei Nikulinsky is a composer and musician and producer of electronic music. Favouring the bass guitar as a tool for the construction of vast, ambient soundscapes, he also has upcoming international techno and psychedelic-trance releases. Andrei is currently recording and mixing a demo album for the local singer/songwriter Isabel Quigley and collaborating with a variety of other musicians on various musical projects. Deva OʼWheel is a visual artist and costume designer with an extensive career in the circus and theatre industry. She studied Costume for Performance and Visual Arts in Lismore (NSW). These studies have led her to integrating costume, installation and performance with a love of textiles and up-cycling. She is passionate about sustainable clothing and creates up-cycled and original clothing under her eco fashion label Altered State Clothing. Suzy Manigian studied film making and print making at Sydney College of the Arts in the 1980s, studied drama in the UK and moved to Tasmania in 1990. She established VanDiemonium making hemp napery in the 1990s and was part of the Tolstoy Sisters and Dolly Putin and the Kazakstan Kowgerls women’s singing ensembles. 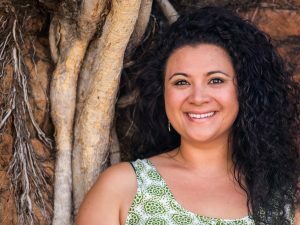 Since 2000 she has been working in event production as producer, maker, production manager, stage manager and designer for the Sydney Harbour Foreshore Authority, the National Folk Festival, Sydney Writers Festival, the Festival of Voices and 10 Days on the Island. She now works full time at Peregrine School in the Huon Valley.